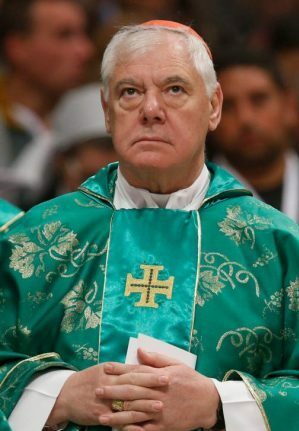 VATICAN CITY (CNS) — People can disagree about problems and the best ways to resolve them, but no one should launch a formal accusation against a pope much less ask for his resignation, German Cardinal Gerhard Muller said. Such public attacks put into question the church’s credibility, he said in an interview with the Italian website Vatican Insider Nov. 27. “I am personally convinced that Pope Francis is doing everything possible to oppose the phenomenon of abuse against minors and to foster a new spirituality among priests who must act with the heart of Christ and do what is good for all people, above all for children and young people,” he said in a lengthy question-and-answer piece. “Clearly it is possible to have different opinions about existing problems and the ways to resolve them, but we have to discuss this,” each according to his or her role and in a discreet way, the cardinal said. Such discussions must never become “a public controversy with attacks that end up calling into question the credibility of the church and her mission,” he said. “Unfortunately, we have these groups, these ‘parties’ — the so-called ‘progressives’ and ‘conservatives.’ We are all united in the revealed faith and not by the biases of political ideologies,” he said. The cardinal was asked about the Vatican’s request that the U.S. bishops postpone voting on several proposals to address abuse during their annual fall general assembly in mid-November. The Congregation for Bishops had requested that no vote be taken on proposals such as standards of episcopal accountability and conduct and the formation of a special commission for review of complaints against bishops for violations of the standards. The church’s existing laws are “sufficient” and “the norms of the Congregation for the Doctrine of the Faith already exist,” said the cardinal, who led the congregation from 2012 to 2017. “All the bishops did not always collaborate with our dicastery. They did not inform (us) as it is established they do. First, we have to do what is already established and indicated as necessary and mandatory by existing norms,” he said. Once existing procedures are followed, then “one can collaborate in a fraternal and collegial spirit, and perhaps discuss if the tone” or tenor of any proposed text is adequate.